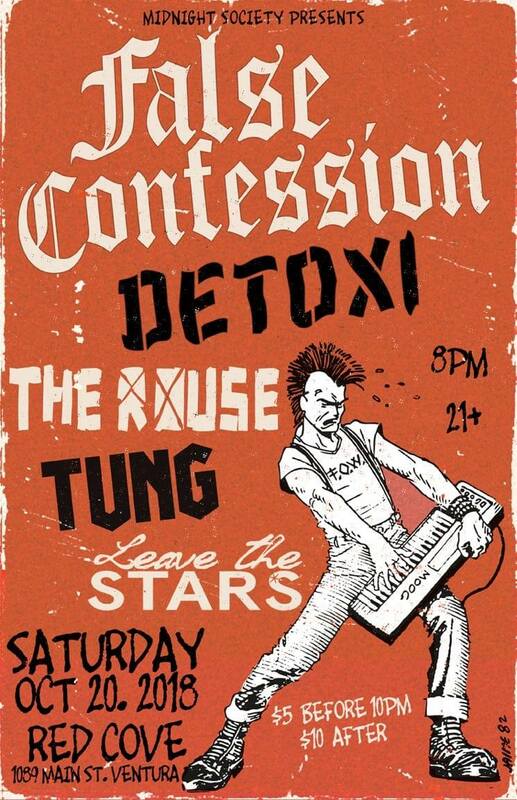 Serious Punking Out in Ventura Tonight! This entry was posted in Music, Upcoming Events and tagged detoxi, false confession, leave the stars, midnight society, red cove, the rouse, tung. Bookmark the permalink.